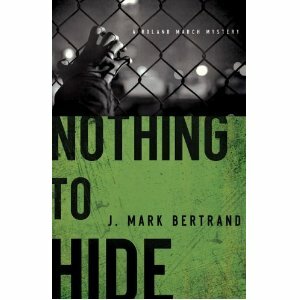 Seeking with all Yur Heart: Nothing to Hide, a superb novel! In Houston’s Homicide Division, a detective by the name of March desires to solve the latest murder. A gruesome dismembered body, laid in a particular manner on a basketball court with a finger pointing in a direction leads one investigator to wonder if the missing parts are deposited in that direction. However, nothing else around the crime scene is discovered and there are no witnesses. Where does the homicide detective look for his answers? What appears to have no direct bearing on the investigation is woven into the bigger picture after all, just exactly “appears” is something the reader must continue to understand as the story progresses. An FBI agent named Bea has a vested interest in the case, but is she for the side of law or does she have a hidden agenda? Charlotte, March’s wife, is now working full-time as a lawyer, traveling internationally following in the footsteps of her father. Does their marriage survive the stress from both careers? The young couple, who once rented an apartment from March and his wife, is becoming parents soon. March has a hard time interacting with the father, who is a minister, who has an outreach center. March has questions about his faith. Charlotte is firm in her beliefs and longs to see her husband have the same faith with her. March was in the Army at one time and was considering staying in for a career, but something happened to change his mind or was it someone? March goes to the gun range and meets a young man named Jeff. While he is impressed with this young man, something seems amiss, shrouded in some way that the detective does find out, but not until it is almost too late. These are just a few highlights of the various plots of the story. Expertly woven in this story are murder, mystery, intrigue, spies, covert operations, rogue agents, the involvement of the United States Government and crossing into Mexico. The reader is kept spellbound by the characters in this novel, figuring out who is for or against whom. Many times I thought I figured out the way the story was going, only to be surprised by the many twists and turns introduced in various parts of the action. Every page turned by the reader leads down a path of more intrigue and action, so much so that it is a hard novel to put down. The author includes small interludes of flashbacks for the March character, but not enough to divulge where the author is leading you until the very end of the book. I had never read a book written by J. Mark Bertrand before. I really am hooked now! He weaves together so many characters from so many different backgrounds you might think it is hard to follow all the action; it isn’t hard at all. He grabs the attention of the reader from the word “go” and doesn’t let go until the very last page. You will enjoy this novel immensely, so grab a copy and settle down to get lost in a wonderful work of fiction.